Quit Making Dumb Goals. Make them S-M-A-R-T. I teach a lot on goal-setting at various conferences and with my coaching clients. Depending on my time with them, I may delve deeper into other related issues, but a core piece of my goal-setting process is the SMART method. At the beginning of the year I weighed 243 lbs. My goal for the end of the year is to weigh in as a light heavyweight at 206 lbs or less. That means a loss of 37 lbs for the year, 3.08 lbs per month, or 0.71 lbs per week. Now this is a SMART goal. Specific– Weigh in at the end of the year at 206 pounds or less. Measurable– I can look at the scales and see if I’m on track or not. Achievable– 0.71 pounds per week is very achievable and healthy. Something crazy like 5 pounds per week would be unhealthy. Results Based– The entire goal is based on my weight results. Time Oriented– Get it done by the end of January 31. Maybe if I do better than expected I can eat more junk on New Year’s Eve to celebrate the end of the year and meeting my goal. As of my weigh-in on Monday I’ve lost 5 lbs in 7 weeks, which is 0.71 lbs per week, give or take 15 or more decimal places. I’m right on schedule so far. This is even better than you think because I started my new lifestyle change halfway into January. I’m still going to stick with the beginning of the year as my start date though. Take something you consider a goal or a dream. It could be better fitness, a cruise vacation, or anything that sits unaccomplished. Grab a piece of paper and write that goal at the top. 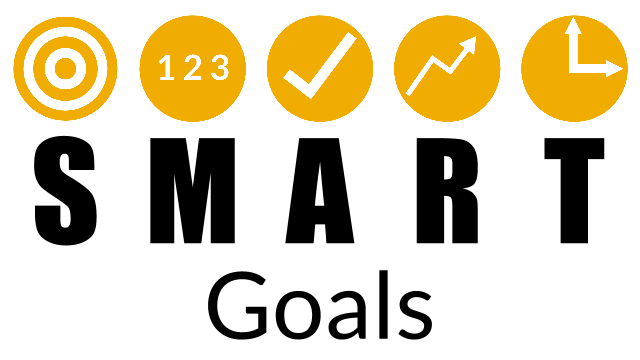 Go through the SMART method with your goal. Do not skip any steps. If it doesn’t fit SMART, then you may need to change the goal so that it does. I hope this plan helps you. If you would like to delve deeper into goal-setting, please get in touch. I frequently speak at conferences on this topic and also use it to coach individuals in high stress/high danger occupations in career transition. This message was written by a team of geeks, nerds, gamers, and Dr. David Powers. You can always find us at www.drdavidpowers.com. Thanks for reading! Disclaimer- I didn’t invent the SMART method. I first heard it taught in college. The method was first presented by George T. Doran in a 1981 issue of Management Review.